Increase visibility. Reduce your risk of accident. Add the impact of CometFlash® strobe lighting to your vehicle. 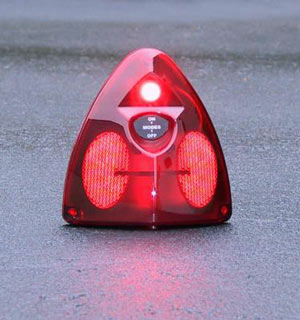 "Hide-A-Way" strobe lamps provide powerful stand alone warning protection for the unmarked cruiser and adds another level of lighting safety for marked vehicles. Smallest strobe lamp assembly available. The hide away kit includes Whelen's CSP690 6-outlet, 90 watt power supply, 4 clear HA238 hide-a-way strobe tubes and 4 15' strobe cables, screws, and connectors. The power supply has 10 flash patterns. CometFlash, Triple, Double, Rapid, Action, Moduflash, Microburst I, Microburst II, Microburst III & LongBurst. You may need longer strobe cables than the supplied 15 foot lengths. If this kit is being installed in the brake/reverse lights and front marker lights on a small sedan or compact car, the 4 included 15 foot cables should reach. However if this kit is being installed in the front/rear of a four door pickup, we recommend (2) 20 foot and (1) 25 foot strobe cables for the back strobes and the front strobe furthest from the power supply as the 15' typically do not reach. This depends on where the strobe power supply is installed in the vehicle. This all depends on where the power supply and strobe lights are being installed but just some generally guidance. It would be better to have cables that are too long than too short. If you would like longer strobe cables in place of the 15' cables let us know in the comments section during checkout and we will adjust the difference in price between the 2 lengths. - trigger wire(s) (14 gauge), run from your switch to power supply to activate the lights. If you want to activate all of the lights on 1 switch, then 1 trigger wire run from the switch to the CSP690 power supply will suffice. Just place all strobes on outlets 3, 4, 5, and 6 on the CSP690 Power Supply. If you want to separate the front lights from the back lights, you will need either 2 switches or a DPDT (Double pole double throw) switch and run 2 trigger wires and put the strobes on outlets 1 & 2 and 3 & 4 on the CSP690 Power Supply. If you have any questions please do not hesitate to contact us we are here to help. 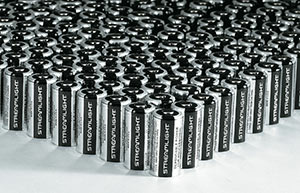 The smallest plug-in mounted, remote, encapsulated clear strobe lamp assembly available. 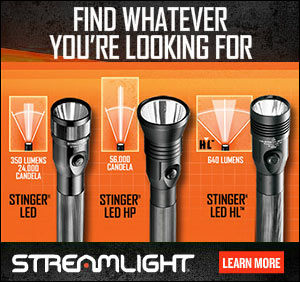 Brighter and more effective than "wig-wag" halogen flashing lights. Whelen’s Hide-A-Way’s are the smallest flange or grommet style strobe lamp assembly available. Easy to install on flat or curved surface. Mounts into a 1" hole on the rear of any composite style headlight, cornering light or taillight assembly. 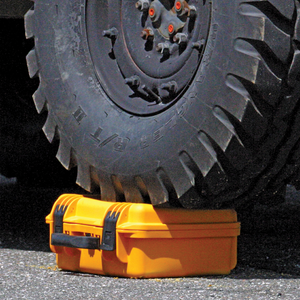 Available in all six safety colors, to provide proper emergency color identification. Built "Whelen-tough," to take road pounding punishment. Field replaceable assembly is warranted for one year. Each assembly includes 15’ shielded cable with AMP Mate-N-Lok® connectors. Optional lengths available. Field proven microprocessor based design. Power supplies are stable on power-up and immune from false triggering. Auto-ranging input current and output power regulation. Eliminates strobe lighthead flash intensity variations, regardless of strobe tube design (linear/helix) and/or the number of lightheads in operation. Output short circuit protection. Monitoring circuitry automatically turns power supply off due to output loading conditions, preventing damage. ScanLock™ pattern control which lets you scan though 10 flash patterns and lock in the one you want. Easy to install and use. There are no internal jumpers or settings to configure before using. 2 year warranty. Factory direct warranties that are the best in the business. Power supplies may be returned for service directly to the factory without prior approval saving down-time, extra cost and handling. Twenty four hour factory turnaround on repairs. Reliability. 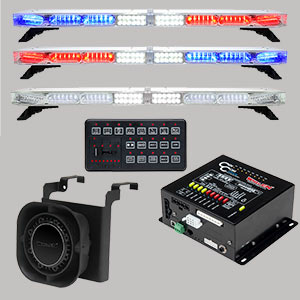 Engineered and built by Whelen, the first name in strobe light design and manufacturing.